Helsby RC round-up for week ending 26/06/16. Just a reminder that Wednesday will see the 4th running of Robbie Webster’s Wobbler – in memory of the late Robbie Webster, an inspirational figure within the club. It’s part of the INTERCLUB series we have and we have a title to defend!!! Everybody counts!! Saturday 2nd July 10am at Knowsley Harriers AC club house, Okell Drive, Halewood, L26 7XB. “On Sunday 19th June myself, Gaz o Connor, Ste roach and Carl Pratt travelled to Liverpool for the staple of the BTR calendar which is the tunnel 10k. This is the 11th year of the event and is a firm favourite with most north west running clubs and in the past it has attracted big numbers from Helsby. In fact one year Roy and Colin T were that keen to run it they were at the start line before the race organisers and before there was even a start line! Anyway, the course is a pretty flat 10k course going through the kingsway tunnel from Liverpool to New Brighton. Running through the tunnel is a novelty however the rest of the rest is a bit industrial until you get to the beautiful promenade for the last 2 miles. Some cracking times from the lads whilst myself managed a sub 55 10k on my first attempt at this distance since my “comeback”. “Eleven members of the Green Army turned out for the Penny Lane 10k on Otterspool Prom on Sunday, our 8th Road Counter of the year. Despite a dodgy forecast, it was a near perfect day for running. Much of the pre-race chat was about it being a lovely, friendly club-organised race but not a quick course for PBs because of the grass, the off-road bits and the twists and turns. probably a bit blasé and set off too fast on this one – and then wondered why I was tired after only 4 hours of running! A highlight of the race was a beer station laid on by a local publican at mile 19. Beer being a theme I continued afterwards while catching up with mates from Ilfracombe Running Club. I finished the race 64th out of 175 with a chip time of 4hrs 36mins. I think that’s everything for this week. Please keep sending in any contributions to helsby-race-reports@outlook.com. Good luck with the Wobbler everyone, whether you be running or helping out. Sorry I can’t be there. 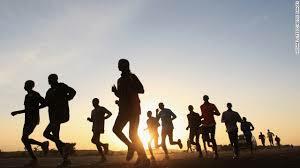 Friday 17th June – Tough Team Challenge – Chris Fitz has organised us into teams of three, hopefully all of similar pace, and there will be upto 40 green vests on show in Tattenhall. Good luck to everyone and enjoy! Wednesday 22nd June – 4VHM 2017 Kick off meeting – 8:00pm in bar -– Please come along with your ideas and offers of help for next year’s race on 15th January 2017 (more details in 6/6/16 email from Laura). Thursday 23rd June – Norton Priory 5mile EU Special Recce – Meet at 7:00pm at bottom end of Tudor Road in Runcorn (WA7 1BD) – This coming season Helsby need to organise a Border League Race; with Wigg Island being unavailable we need a new venue and this is potentially one of them. Please come along and test the course out and tell us what you think. This is Roy’s Thursday night training session (but an hour later to give more folks time to get there and allow voting first!!). If we can organise ourselves on the night we’ll run a handicap or time trial, not sure which yet. If you are coming please let Roy know on facebook or roygaskill_618@fsmail.net your latest 5K & 10K times. 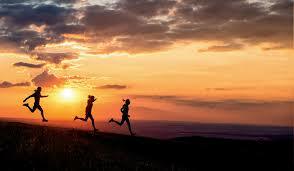 Wednesday 29th June – Robbie Webster Wobbler – Inter club fell counter organised by HRC –7:15pm – Registration from 6:15-7:00pm at Forest Hills Car Park WA6 6HH – 8.5km 370m. Our organiser Chris B-H needs help on the night, so if you are not planning on running it and want to see the action close up please volunteer for marshalling. If you have not already done so please let Chris know on TheWobbler@baynham-hughes.com. Afterwards we’ll have a social and prize giving back at HCSC. Please bring along a cake to keep our tradition of Helsby’s famous club baked cakes going and at the same time raise funds for a local cause. Last year we donated over £150 to the Nepal earthquake victims; hopefully we can do something similar again this year (more details in 28/5/16 email from Chris). Friday 8th July – HRC Summer BBQ – 7:30pm start at the club – We are keeping the handicap and the BBQ separate in order to make this a summer social evening open to family, friends and their children and in doing so supporting the HCSC by promoting bar takings! The club will provide the BBQ items but please bring along a salad or pudding/sweet to make the usual excellent spread. Lesley will email with more info nearer the time, but please keep your diary free for this! 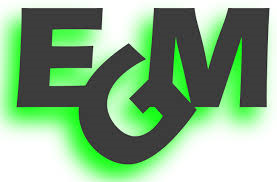 Wednesday 20th July – HRC Extraordinary General Meeting – 8:30pm in the bar after our club run. As mentioned at our recent AGM a lot of work has been going on behind the scenes to produce a new club constitution that will allow us to apply for Community Associated Sports Club Status (CASC) which will benefit HRC in the future. The paperwork and explanation for this will be sent out 3 weeks before but again please put this date in your diary. It won’t take long! 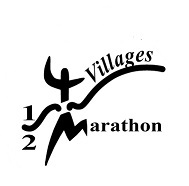 There will be a kick off meeting for the Four Villages Half Marathon on Wednesday 22nd June, at 8pm after the club run, in the bar. We will be discussing plans for next year’s race, agreeing any changes we want to make and any new ideas people may have! If you are currently on the event team then it would be great if you could make the meeting, it would also be really helpful to know if you are happy to be involved again for 2017! If you haven’t been involved before but would like to help out then that would be brilliant – the more the merrier! 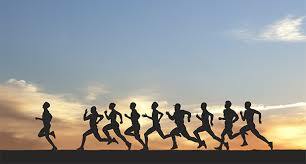 There is lots to do in the run up to the race and it is great if we can share the work load. It would be good to see some new faces getting involved in the race. Don’t worry if you can’t commit lots of time as there are lots of different ways you can help. Give me a shout if you have any questions or would like to be involved but can’t make the meeting (Laura@baynham-hughes.com). The date for next year’s race is Sunday 15th January 2017. Tim Palmer has very kindly collated data for our new “club records” section on the blog. Thank you very much Tim! It’s still a work in progress and there may be errors (which he is happy to correct) as it relies on the results published on Power of 10/RunBritian. If you think you have a club record Tim has missed please email him (tim@timjenny.me.uk) with a link to the results. Jackie has kindly sent out a comprehensive email with all reminders of up and coming events but Chris Fitz has sent in a message regarding the Tough Team Challenge on Friday. Please see his message below. We are still 1 person short to complete 12 teams, doesn’t matter if its male or female as I can move the teams around to accommodate but this is how its looking at present. If need be we can ask on the night for a spare runner, we have done this in previous years. Pam and Claire, do no fret when you read this as if we get the last person to partake then based on how fast they are will depend if they go onto your team or not. Feel free to make suggestions if you think I’ve got them wrong pace wise, I’ve gone off past Tough team events and the 10k time trial stats. I would suggest you try and get there around 6.30pm so you can register and find your team mates all before the race starts at 7.15pm, its £8 to enter, if for whatever reason you can’t make it please let me know I’m on 07736350465, the earlier I know the better, but hopefully that won’t happen, see you all Friday night. Clare-Louise Miller, Pam Hankins, ????????? Minimum age 17 years. UKA rules apply. For a team to qualify as vets all team members must be aged 40+ on race day. Suitable for entrants on foot only. No MP3 players or other personal audio devices please for everyone’s safety. Now on to the race news! CBH has sent in another brilliant report for the Cwm Pennant fell race. Looked like an excellent race was had by all, a big well done to everyone who raced. “After 3 weeks of beautiful clear sunshine filled days we arrived in the Cwm Pennant valley to a grey day with low level clouds. The course itself is a bit of a monster; I’d argue it’s the equivalent of running a marathon on the roads and that is reflected in the times… more on that later! The course is also probably the most beautiful of any fell race… when you can see it. The first climb up Moel Hebog reveals the beautiful beaches of the Llyn peninsula (if you dare to look back) and as you summit the whole of Snowdonia suddenly reveals herself before the undulating race route distracts you with the rugged beauty of the Cwm Pennant valley itself. Sadly not on race day though. Ras Pedol Cwm Pennant this year was a very special affair; as a British fell counter it mean numbers were swelled by roughly 15 times the previous year. The cream of UK fell running were there yet everybody was clear it would be a tough day in the office. Sadly a number of green vests had to drop out, but Jackie was still there after her fantastic performance at the Highlander MM to represent the ladies and Jim Jones, Phil Roberts and I represented the men (Jim O’s legendary admin let him down as he was too late to get a place). Race organisation was superb, NFC wrist watch style dibbers were used to ensure everybody went to every check point, maps were provided along with a free buff and soup at the end… plus there was food and a ridiculous selection of cakes on offer for 50p each; Not bad for £10! The race was a very sweaty affair; the humidity and temp’ were both high and the sweat just clinged on. Hebog is a monster of a climb, Phil and I both got really stuck into it and summited about the same time (only because Phil turned back in the clag wisely waiting to ensure he didn’t go wrong). Phil and I exchanged the lead several times, but in the end the navigation in the clag and the V3K looming meant Phil was happy to sit and follow my lines… which varied in success! For those that haven’t tried to run or navigate when the clag is down it is astonishing how easy it is to get disorientated. At one point I thought I was on a different top, on another I completely missed the left turning and when straight down a direct line instead; there was one chap off to our right heading right and we were heading left along the wall, but I wasn’t confident enough to call him back despite having been up on these tops eight or so times before. Turned out that the line was about even with the official race route so no harm done. Once we got past the half way point the lines improved as did the view; snatching glances of the Cwm Pennant valley and the drops either side of the superb bit of ridge. The suicidal drop off from Mynydd Tal-Y-Mignedd went well gaining a good 30 metres (and providing Phil with the chance to laugh in disbelief at the lunacy) and we went on to reel in another 10 runners on the climb to Craig Cwm Silyn (much to their chargrin and my delight). All of this leads up to the grand finale. The descent from Garnedd Goch is truly horrible; deep heather and tussocks hide ankle breaking drops and loose rocks. In the previous two years I’ve been destroyed in this section… and it goes on forever. After the Climb to Craig Cwm Silyn I’d become the pied piper. I desperately tried to shake off many of these people in the clag, but they were fast and determined not to lose the person that appeared to know where he was going. I felt a huge responsibility as I wellied down the best trod I could find knowing at some point I’d need to turn right over the horrendous ground. Finally turning right I was astonished to find it ok. I kept expecting the tussocks to swallow me up but got away with it pretty much. Finally emerging from that section to find Laura and the boys along with Helsby’s number 1 cheers squad (Joe and Mario) was terrific. Beyond the call of duty for Joe and Mario to take on the 180 mile round trip – shows just how lucky we are to have them on board, certainly gave me a huge boost. The final descent generally leaves people wishing for the final road section, but 1k into the road almost without exception they are regretting what they wished for. Fell runners generally have a total aversion to roads, but 3K+ is a real killer. Thankfully the mornings with Fitzy paid off as I managed to hoover up 6 more places. I did find it slightly bonkers to see people walking, broken from the road – considering what they had just undertaken in the hills it was rather perverse. Well done to all Helsby runners who ran a parkrun on Saturday and extra kudos to Neil Finegan for a fabulous 1st place finish at Ellesmere Port! Well done mate. A quick message from Fitzy regarding the above. Chris BH sent in this request…. 1. Help marshal on the night. NOTE: As per the notes from Jackie and the AGM, there is an expectation that everybody in the club pitches in to help in AT LEAST ONE of these events or gets a substitute to do so whilst they race. These events help ensure our fees stay low, so if you’re thinking of running the 4VHM, SST or the wobbler then please consider putting yourself or somebody else forward in your place. Please don’t let this put you off racing. Helsby runners were in action at a host of parkruns this Saturday. Highlights were second places for Colin Bishop and Neil Finegan at Princes Park and Ellesmere Port respectively. Full parkrun results for Helsby runners can be found below. Colin Thomspon was at both the Deeside Multi Terrain and Halewood 5K races, he’s sent in reports from both. The second race of our mini trail championships and race #1 in the series, this course is a 5 mile long (approx) multi-terrain that takes in some fields, track and woodland. 8 Helsby runners were showing the green vest at this and we had some good battles out on the course in lovely sunshine. A no show from the ladies so would be nice to see some at the next one on 7th July. Saturday saw myself, Helen Owens, Jo Lacking, Carol Shaw & Davyd Mitchell all lining up for the Halewood 5k on a hot and humid morning. A good day at the office for the Green Army saw myself 3rdoverall, Jo Lacking 2nd lady overall and course PB and Helen & Carol both 1st in their respective age groups! Well done gang. A scorching day saw four Helsby members (3 Helsby vests as I was in civvies) toe the line for the monstrous Welsh 1000m peaks race. It’s a true long distance fell running test. The route starts at sea level a mile from the car parks for Aber falls, and goes via the summits of Carnedd Llewelyn, Carnedd Dafydd and Glyder Fawr, Pen- y- Pass Youth Hostel, the summit of Garnedd Ugain to finish on the summit of Yr Wyddfa (Snowdon) – that’s a whopping 31.86 km (19.80 miles), 2678m (8785ft) of ascent. To say that the views were magnificent would be a total understatement… although it’s difficult to see them through the sweat and tears. It’s fair to say that this race has seen it’s casualities from the club over the years. This was my 5th running of the race having first done it in 2011. The conditions this time were similar to that first year where I ended up sitting down for 5 minutes wondering if I could continue. I’ve returned every year since to try and get my dignity back after that day. Both Jimmy and Max have also both had their quarrels with the course over the years, but it’s addicitive and it’ll be interesting to see if Ben and Phil (debutants this year) will be back for more punishment in 2017. I think it’s fair to say that this race puts you on your backside. It’s not the distance as such, it’s just the constant long climbs followed by long descents and no ridges to run to catch your legs back. Persistence pays off in this race though. Jimmy arrived at the finish in a magnificent third place! Seriously remarkable run in the conditions. Sadly Jimmy has been given a time penalty which puts him down to 7th in the overall standings. To the letter of the law this is a fair penalty to give as Jimmy ran with a photocopy of the map rather than an officially printed bought one, but for me this is totally bogus. Firstly the difference in weight of an official version vs the one that Jimmy carried is negligible and would have had no bearing on the speed he covered the course. I realise it’s a safety issue, but he’s run the course 3 times in this race alone, it was also perfect conditions. As fell runners we’re bound by the rules (quite rightly) to carry a map, Jimmy did that, it’s simply a technicallity that has led to this 10 minute penalty. Secondly, the scrutiny placed on the map is due to his position, so I’d question whether everybody else that came after Jimmy had the same scrutiny. I’ve no doubt 4th (now third) did, but 5th and 6th and beyond? In my eyes Jimmy flew the flag for the club and came up trumps with a magnificent run; the final standings on paper take nothing away from this. Ben finished with a smile on his face as did Phil. Both put in fantastic performances given the heat and the crowds on Snowdon. Fantastic work boys! I wouldn’t’ bet against them being back for more! Jackie Keasley sent in this report from the Highlander Mountain Marathon. Rachel & Jackie had a very hot, sunny and exhausting couple of days running around Glen Cannich amongst the Affric, Mullardoch & Strathfarrer high mountains. In their first and last Highlander Mountain Marathon; the race has been going for 10 years but the organisers have decided that this will be the final one which is a great shame. Its had a great following as it has the attraction of dancing on the Saturday evening with food and drink available for purchase throughout the evening .. or until they run out of beer!!! The last couple of years both the LAMM and Highlander have competed against each other at similar times of the year and the organisers have decided to focus on one and guarantee it happening and being full. There is also an issue with the land owners as its harder and harder each year to get permissions so hopefully focusing on one will give these events a better chance. We competed in the C class which covered about 25K each day and 1200+m climbing (if you followed the planners routes) and involved finding 10 well scattered check points. As in any mountain marathon you very rarely follow paths (and in this part od Scotland there are not many) and spend most of the time going up, down or contouring along ankle twisting rough slopes. Each morning started misty but then we climbed above the clouds (watching deer scatter having suddenly lost their hiding places) to see the still snow covered mountain tops appear above a sea of cloud. It then didn’t take long for the hot sun to burn off everything and blast out it’s heat. We had 7 hours plus of very tough going each day. Normally on these events we have a good natter and catch up for at least some of the time but I could honestly say it was so tough to go keep going in the heat and terrain that all energy was preserved and the odd conversation about navigation, discomfort and wow that’s a fantastic view was all that was said throughout! Saturdays campsite in Strath Farrer was beautiful located, the stream was deep and icy cold and we joined a lot of runners standing in it to thigh level for 15 minutes to help recovery. It made them numb so it worked for me but it didn’t settle Rachel’s huge blisters and mega underlying aches and pains. A meal was provided as soon as we finished on Saturday, we ate it them cooked ourselves another 2 course one (plus chocolate) to refuel and hydrate for the next day. The ceilidh band struck up and it was mazing how many managed to join in energetically! We didn’t think we would have the energy but then were asked to dance and managed to enjoy a rather long rendition of the Dashing White Seargent – in running shoes and on grass of course! This guaranteed (along with a couple of drinks) a good nights sleep! More of the same the next day but Sunday mentally if not physically always seems easier because its the final push. We finished on a high having just made it back (from 15 hours of what we thought was slow tussock shuffling!) in time for the presentation to hear our names called our for 1st lady vets in C class. We were presented with trophies that thoroughly reminded us (see photo) of our couple of days in the Scottish Hills! Then it was over to Bill for the endurance part as he drove us home in the camper van with the odd comfort, tea and burger (yes that’s all you can get on the M74 on a Sunday evening) break to get back at 2am. A great memorable weekends running!